If you are caught up in the downward spiral of addiction, you may just be happy for the pain to stop. This is a good motivation for quitting alcohol or drugs, but it might not be enough to keep you sober long-term. The likelihood is that your memory of this pain will become weaker over time – you just forget how bad things were. It is therefore very important that you have some positive reasons to remain sober. When you are trapped in alcohol or drug abuse, there will be no room in your life for much else. This could mean that most of your energy, thoughts, and motivation are directed towards maintaining your habit; when you are not drinking or using, you will be spending most of your time thinking about drinking or using. This way of living is not very satisfying and deep down you probably know that you are just squandering your life. 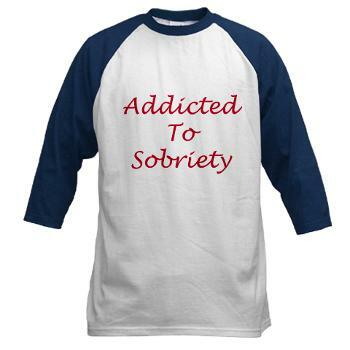 One benefit of choosing sobriety is that you start seeing meaning and purpose in life again. Once you have been sober for a while, you will have a clearer idea about what you want from life. This will give your life a real meaning and purpose. You will have goals that are important to you and achieving these aims will give you great pleasure. Sobriety will also give you the opportunity to examine your values, helping you develop an approach to life that is meaningful to you. By getting sober, you can be a great example to others struggling with addiction. You are an example of how it is possible for dramatic change to occur – a leopard really can change its spots. It will boost your self-esteem knowing that you are a positive force in the world. It is common for those trapped in addiction to claim that they feel ‘unclean’, but being sober means you can once again look people in the eye. Once you have built a solid recovery, you should then be in a position to help others directly. You could do this work through a fellowship like Alcoholics Anonymous or just by doing the odd good-turn. This type of service does not only strengthen your sobriety, but it can also give you a great deal of joy. In order to remain sober, you will have to pick up some effective tools for dealing with life. These strategies for dealing with problems are not only useful for keeping you sober; they can also be used to help you achieve your dreams. The fact that you are not drinking or using drugs also means that you will have the time and energy to turn these dreams into reality. It is amazing what people can do when they become sober, and you are will able to do some amazing things too. Relationships that are based around alcohol and drugs tend to be very shallow; it is not possible for those caught up in addiction to enjoy meaningful relationships. One of the great joys of sobriety is that you can begin developing deep connections with others. You can also win back the respect of those you hurt while caught up in addiction. One of the worst things about being caught up in addiction is the feeling of being ‘wrong’ or ‘lost’. This sense of something missing can be a powerful driving force behind the addictive behaviour; some describe it as being like there is a hole in their soul. When you become sober, you will feel like you are back on the right track in life. This means you will no longer feel like there is an alarm going off in your head and you begin to develop a real sense of inner well-being. Emotional sobriety is the ability to handle your emotions but it also means that you will be able to deal with whatever is or will happen in your life. Physical sobriety means that you are no longer doing damage to your body and mind, but emotional sobriety is what brings you the real happiness in recovery. The way you develop this is by dealing with life on life’s terms and by overcoming the challenges that come your way in sobriety, you become highly skilled and almost unflappable. Only denial prevents you from seeing how dire the situation is when you are caught up in addiction. The prognosis for this condition is very poor. Most people experience a downward spiral, which means things just keep on getting worse over time. Unless you are able to break free from addiction, it will steal everything of value from your life. By breaking away from addiction, you will be moving your life in a positive direction. You can expect things to keep on getting better for you as you increase your ability to deal with life. This means you can enjoy the gift of optimism. You will not have any real idea about where the future will take you, but you can feel excited because by doing the right things, you will be getting the right results. By giving up alcohol or drugs, you will have made a significant contribution to improving your physical and mental health. This means you can stop feeling sick and tired all the time. In order to get the most out of your sobriety, you will need to take further positive actions to improve your health; this could include things like improving your diet, regular exercise, and learning relaxation techniques. It is often claimed that your health is wealth, and you can get to enjoy plenty of this type of wealth in recovery. You may have done things while addicted that you now feel deeply ashamed about. It will not be possible for you to undo the past, but you can begin to make amends for your misdeeds. Not everyone might be willing to give you a second chance, but you should know that it would be possible for you to repair much of the damage. By remaining sober, you are already doing something to repay for your past wrongs. The biggest possible prize in recovery is the gift of serenity. It usually takes many years of self-development before you can develop this fully, but you can begin to experience periods of it even in early recovery. Serenity is a sense of inner-peace and joy that never goes away. It is often the desire for this level of inner comfort that drives people in addiction in the first place, but it is not something that alcohol or drugs can provide. The serenity you have always been seeking will be available to you if you are diligent about your recovery.